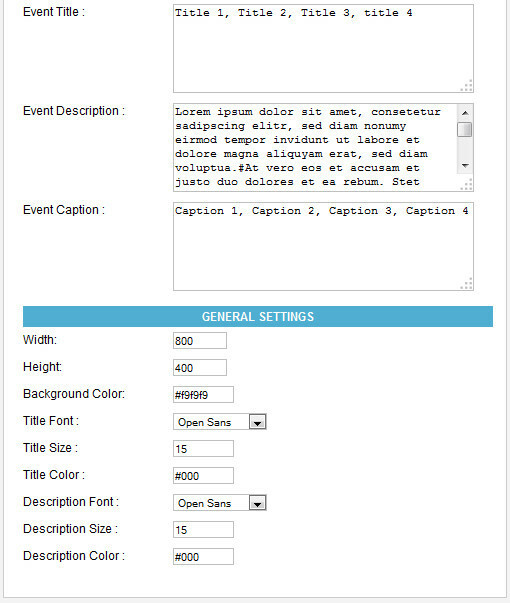 Prootex Timeline Event Slider is a fancy jQuery timeline to create an interactive timeline widget that has the ability to visualize your events in a content slider with left/prev controls. The module currently supports 3 types of medias: image (image), Google Maps (google-embed) and Youtube videos (youtube-embed). Highly configurable and backed with a 24x7 Customer Support package. This module is cross browser compatible and works on all the modern browsers. Bug Free and works great! Compatible with Joomla 1.5.x , 2.5.x , 3.x.x. The Downloads Access and Extension Support is valid for 6 months from the date of purchase.